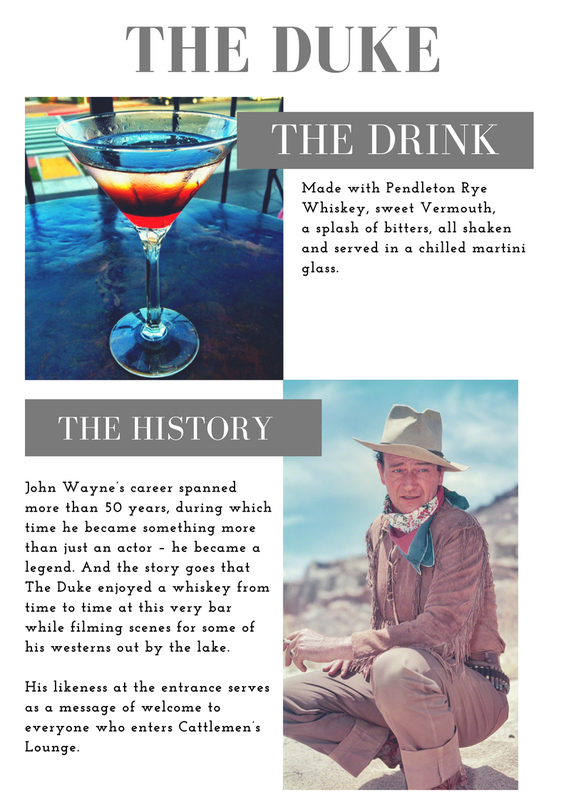 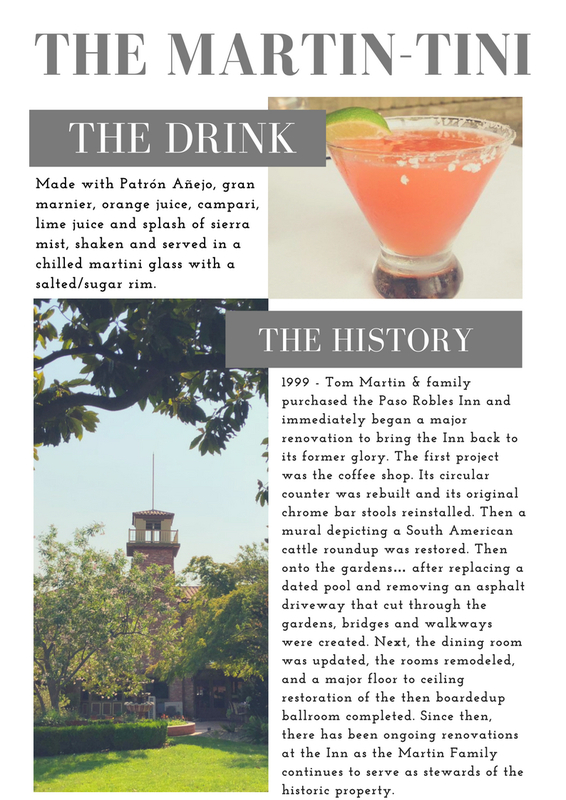 As if you need another reason to drink on the Central Coast, SLO Cocktail Month kicks off this September, giving you the perfect excuse to take a step back in time and indulge in the history of the Paso Robles Inn over a signature cocktail in Cattlemen’s Lounge, the hotel’s on-site bar. 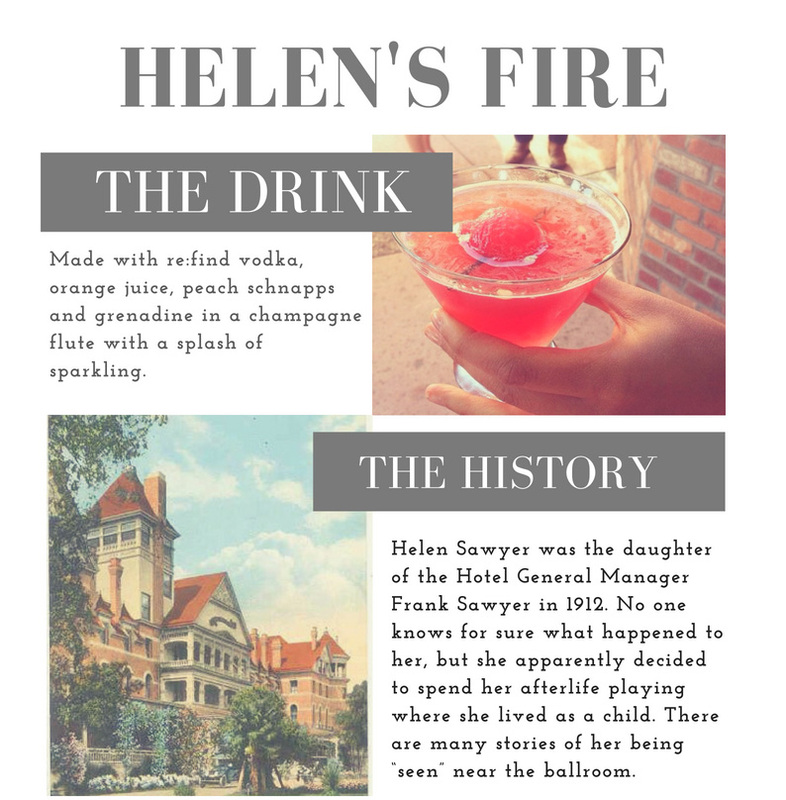 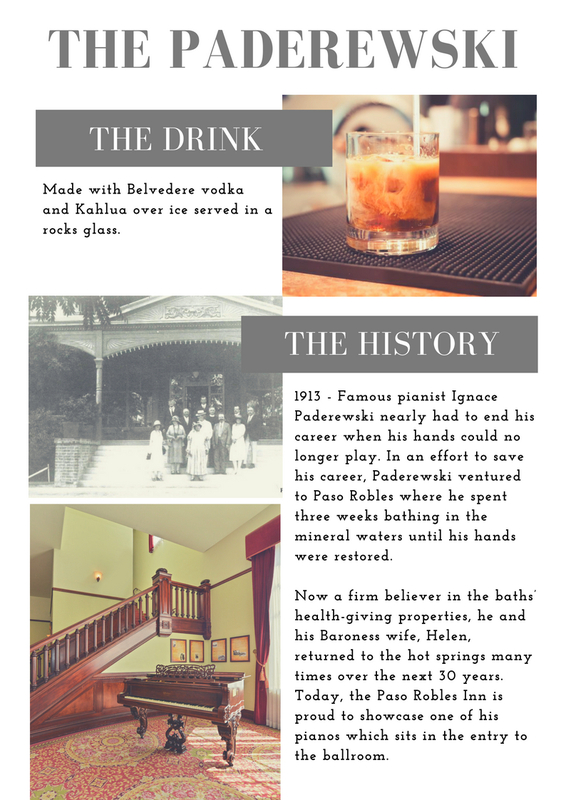 Thoughtfully developed by the Inn’s own mixologist, each of the Paso Robles Inn’s 9 signature cocktails have been carefully crafted to help tell the story of the hotel’s rich history—highlighting the famous characters who have played a role in making this hotel historic over the years in a way that’s easy to swallow. 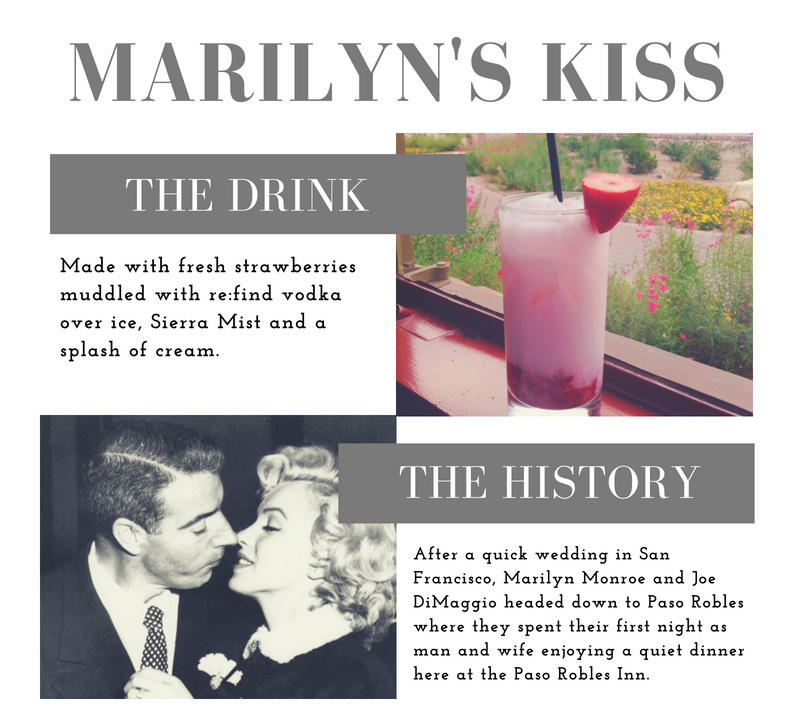 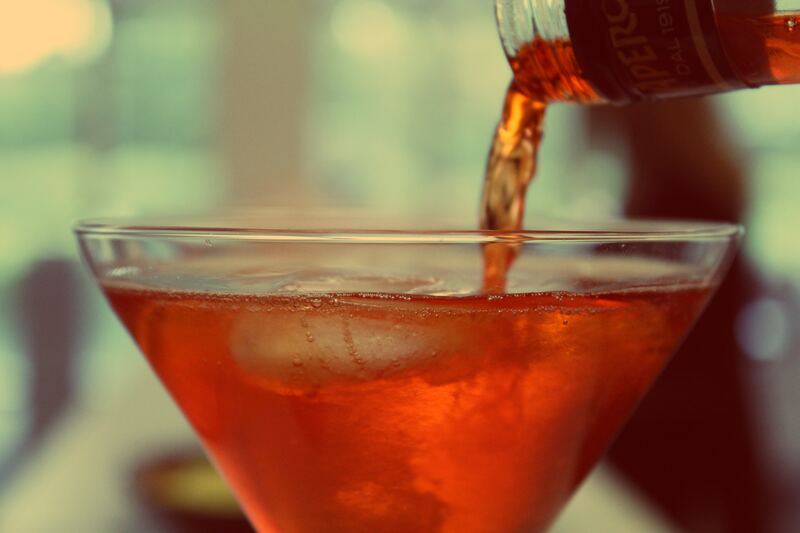 With names like The Burning Ember, Marilyn’s Kiss, and The Dirty James, each one comes with its own recipe and story. 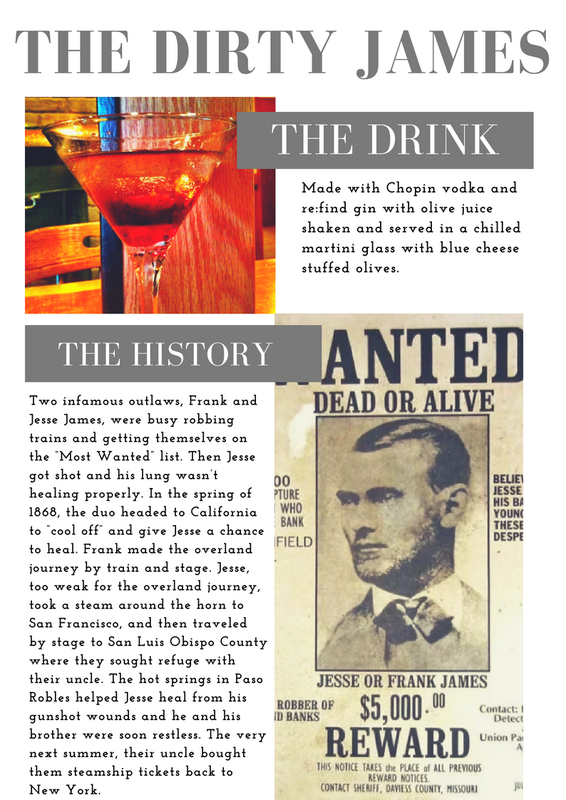 Get a taste of Paso Robles history by reading on below. 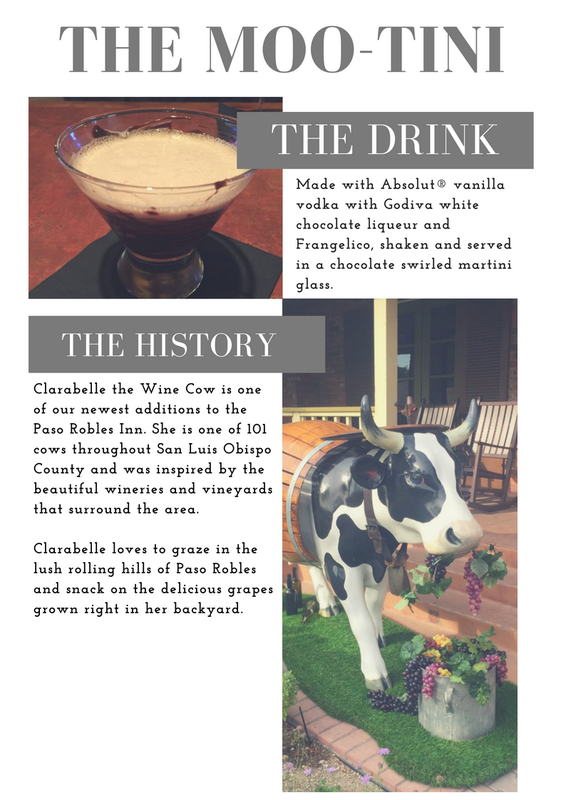 Located upstairs, inside the Paso Robles Inn, is the historic Cattlemen’s Lounge. 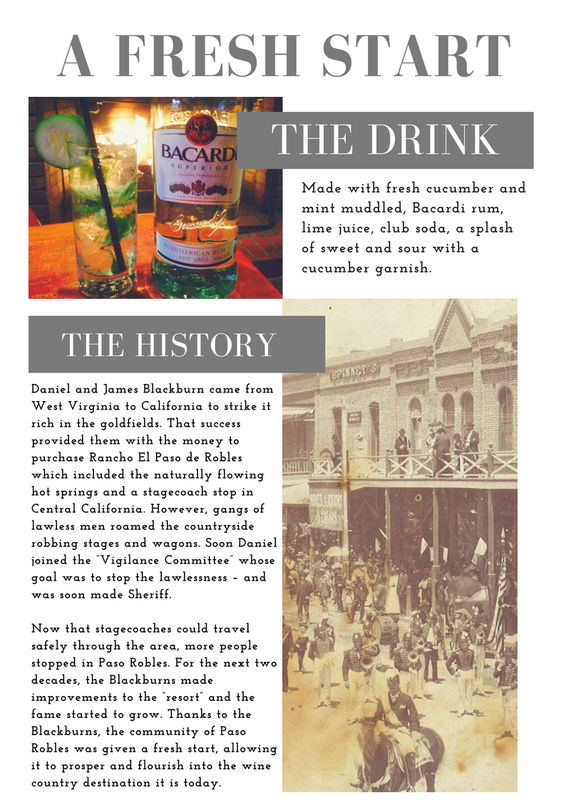 Come up and enjoy some local flavor and historic culture. 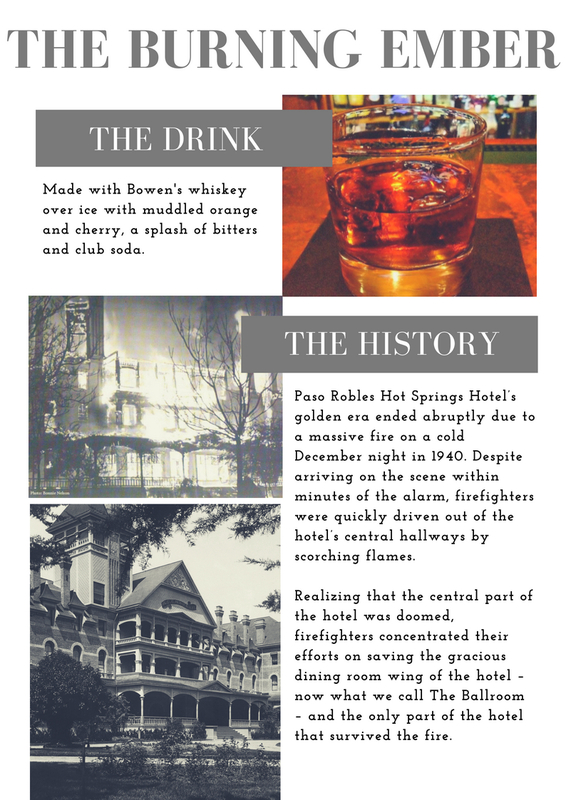 Featuring a full bar, a happy hour Monday through Friday from 3:00 pm – 6:00 pm, and four television screens, our Paso Robles lounge is the perfect setting to learn about the city’s history and experience its culture first hand.